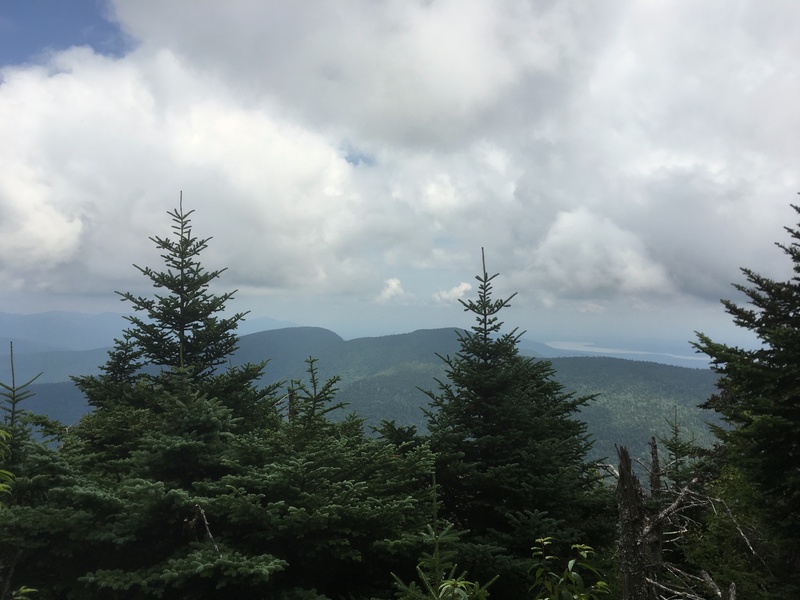 John Burroughs couldn’t have picked a range of mountains to frequent that’s more demanding for the hiker, but according to the DEC it’s the most popular range in the Catskills Forest Preserve. 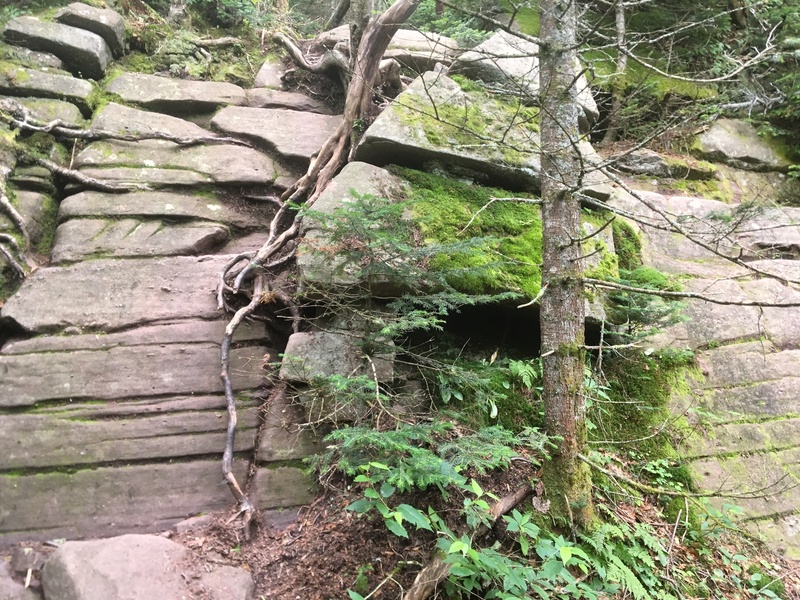 It’s probably popular because it has the most interesting network of trail hikes, but it’s extremely challenging in parts, the Slide Trail (between the summits of Slide and Cornell) feeling like a craggy, sheer rock-face covered in trees. Even the Devil’s Path was easier. Another attempt at Cornell from Slide this week was humbling, but the terrain is simply breath-taking, varied topography and stunning views with a mossy spring that cascades down the mountain. There are wooden stairs affixed to part of the trail, because it’s so forbidding. 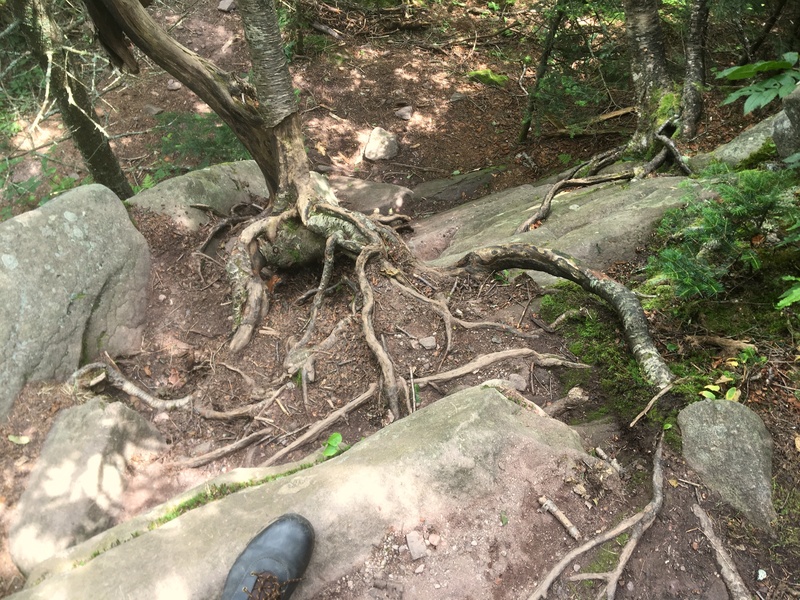 Pictured below is part of the trail; it’s at least 25ft from bottom to top and you have to pull yourself up using the roots running down the center of the picture. Below is the point in the trail where the dog agreed that we should just turn back. The rectangle of dirt partially covered by trees in the middle of the image is not even the bottom – it’s a shelf that looks to be about six feet from the bottom. The dog was sitting above me on the trail, at the top of this rock formation, when I took the picture. As Burroughs writes, Slide “takes its name from a landslide which occurred many years ago down its steep northern side…. The mane of spruce and balsam fir was stripped away for many hundred feet, leaving a long gray streak visible from afar”. 1. Hike with able-bodied friends. 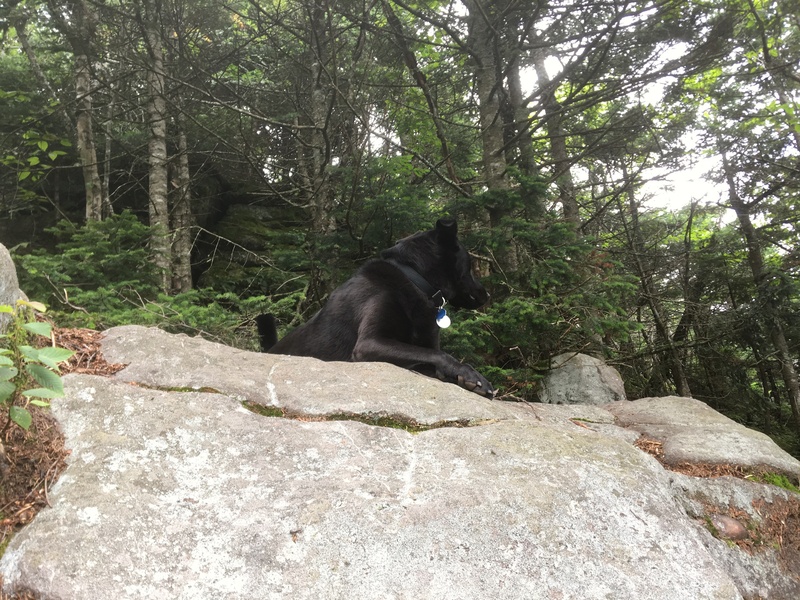 If you go as a group, you can help each other up and down the sheer rock faces that are sometimes about 50 feet down and difficult to get a dog down and up, unless your experienced hiking dog can find a way around, which often they can. 2. Get an early start. This part of the Slide Trail requires considered deliberation or you can end up falling many tens of feet down the trail. Sometime gloves can help keep a good grip on the rock. 3. 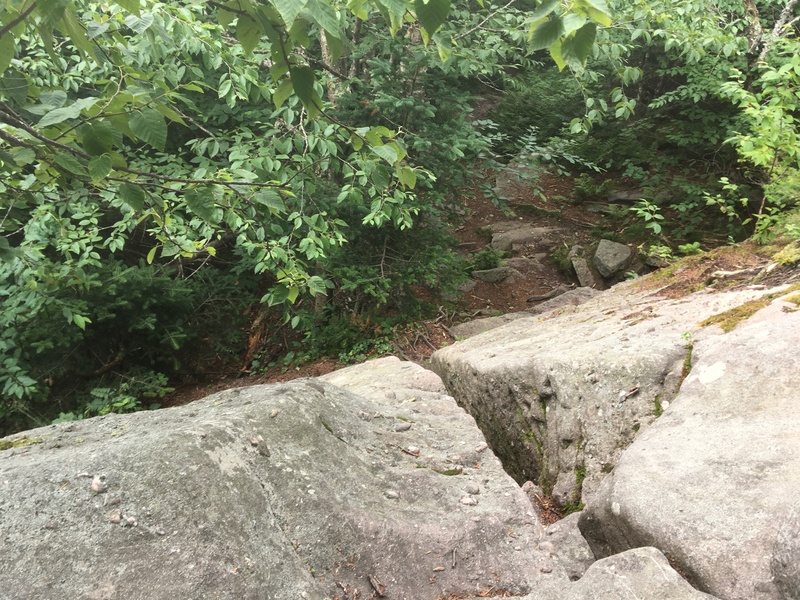 Never do this trail after it has been raining, or if rain is forecast because the rock will be or become slippery. 4. To keep your pack light, drink two liters of water the day before and then one liter before you even leave the house. Impressive. 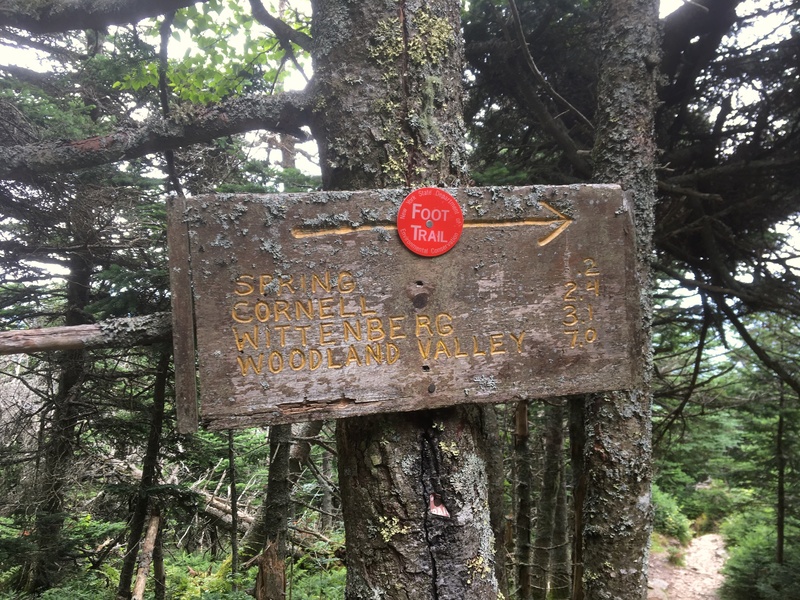 You should be a guide and take folks on this hike. Use IntoThe Skills.com.